for $1,098,000 with 3 bedrooms and 3 full baths, 3 three quarter baths, 1 half bath. 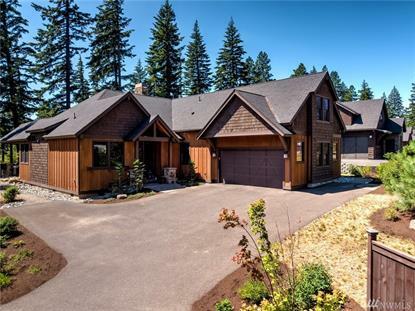 This 2,859 square foot home was built in 2014 on a lot size of 13504 Sqft. Just Reduced! Now including most of the furniture!! Located in the heart of Suncadia resort this home has had every detail meticulously thought out, from travertine stone tiling, granite, built in custom cabinetry, wood flooring, to the covered outdoor patio, spa, and landscaped grounds, all between the 17th & 18th fairway of the Prospector golf course, 3 bed, 3.75 bath huge bonus/bunk room, minutes to walk to the winery, concerts, fitness center, ice skating, and walking trails !! The data relating to real estate for sale on this web site comes in part from the Internet Data Exchange Program of the Northwest Multiple Listing Service. Real Estate listings held by brokerage firms (licensees) other than Weichert Realtors include the name of the listing brokers.